Free entrance for coach drivers and those accompanying school groups (1 free for every 10 pupils). • Accepted means of payment: cash, bank cards. 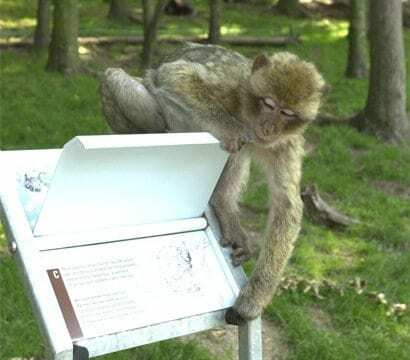 • Please leave all food items in the coach as eating is not allowed in the monkey park. We offer a special rate of 4,50 euros per person (disabled and carer), even for groups of less than 20. The park offers a range of educational possibilities for school children of all ages. NB: for school groups – 1 accompanying adult goes free for every 10 children. • ensure that children are always under the supervision of an accompanying adult by making small groups. 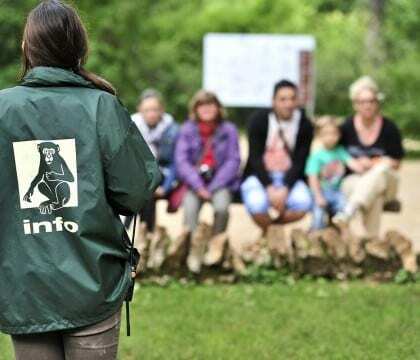 Our aim at ‘La Forêt des Singes’ is for our visitors to enjoy their visit, have fun and learn at the same time. Educational activities: feeding talks tailored to school groups are held at regular intervals throughout the day.